Here is your chance to win a set of Amazing Spider-Man Renew Your Vows #1 Exclusive Unknown Comics variants from InvestComics and Social Media Giveaway. These variants are extremely limited so be sure to secure your copies at Unknown Comics right HERE. There will be THREE lucky winners. The first place winner will receive the 3 pack, which includes the extremely limited color exclusive. The second and third place winners will receive a color variant (3000) and a B&W variant. Follow InvestComics HERE – Social Media Giveaway HERE – Unknown Comics HERE on Facebook. LIKE the post on Facebook. SHARE the post on Facebook. You MUST FOLLOW these simple steps to be eligible to win. Winner will be announced on November 9, 2016. The day of release. Good Luck! Be sure to visit the Unknown Comics website for some other great variants. Fine Print: This promotion is open to participants in the continental U.S. only. If you have won a giveaway from InvestComics LLC or Social Media Giveaway within the last 6 months, you are not eligible in this promotion. InvestComics LLC, Social Media Giveaway and Unknown Comics are not responsible for any lost item(s) or damages shipped after the promotion is over. 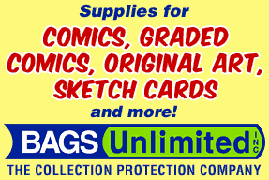 There will be no replacement item(s) shipped out once the product is in the sole possession of the delivery service of Unknown Comics’ choice. Employee’s or family members of InvestComics, Social Media Giveaway or Unknown Comics are not eligible. If you do not respond via message or email to our announcement that you’ve won on any of the social media that we post and tag you on within 15 days, your prize will be forfeited. No rainchecks. We will not chase you. The comic in this giveaway releases on November 9th 2016. We are not responsible for any unforeseen delays from the distributor or delivery service. Please be patient in receiving your comic. InvestComics and Social Media Giveaway does not send out prizes; unless specified. The above company or creator giving away the item(s) sends out the prize(s). Once we receive your address information we send it to the company or creator so that THEY send it to the winner. InvestComics is NOT responsible for any item(s) not shipped out in a timely manner. Please contact the company or creator directly if you deem it necessary to do so. We will NOT be the middle man handling the shipping of your item(s). All content copyright Social Media Giveaway. All images/icons/logos, not of Social Media Giveaway are owned by the respective companies herein.